Isabel Rodríguez León is a lawyer in the Madrid office of Uría Menéndez. She joined the firm in 2011. Isabel has a degree in law and a degree in business and administration from the Comillas Pontifical University (ICADE) in Madrid, and also studied a semester of the business degree at McGill University in Montreal. 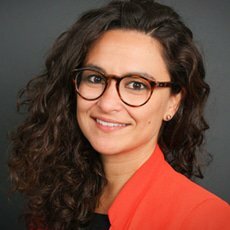 Isabel has more than seven years of experience advising Spanish and foreign companies on labour contracts, including those of corporate executives, remuneration schemes, codes of conduct and internal company policies, particularly in connection with the impact of new technologies on labour relations. Isabel also has extensive experience in carrying out labour audits, as required during corporate restructurings and sales of companies. An important part of her legal practice is focused on defending corporate clients, both at first instance and appeals, in judicial proceedings stemming from a variety of employment disputes as a result of individual or class or group actions, as well as on representing their interests in extrajudicial negotiations. Furthermore, Isabel has participated in collective bargaining when negotiating agreements with trade unions, collective dismissals and flexible internal measures.